Departure from hotel Granit dock (at hotel beach) at 16.00 hours. Boat cruise across the Ohrid Lake to the Monastery of Saint Naum. Arrival at St. Naum dock. Ohrid Lake is one of the most beautiful lakes in the world. The lake is about 30 kilometers long, and round 288 meters deep. With its unique flora and fauna characteristic of the tertiary period (2-4 million years ago), Ohrid lake is one of Europe’s great biological reservates, filled with endemic plant and animal species. Boat cruise during the daytime through astonishingly clean and clear water, together with the serene stillness of its mountain settings is captivating. 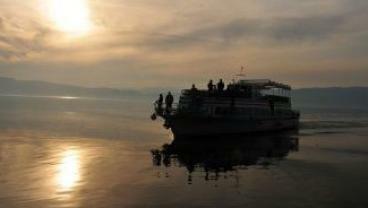 At night time boat cruise offers romantic sights of flickering city lights, hearing gently lake waves sound. The Island is formed by the springs of Crn Drim river. The place offers magical scenery with wonderful green trees, clean cold water and mountain air. These springs are a natural beauty protected by UNESCO and can be visited only by a rowboat with a captain/tour guide. The springs are consisted of 30 underwater and 15 coastal springs with a water temperature that does not surpass the 11 degrees Celsius. Around the springs there are 3 churches, Presveta Bogorodica, Saint Atanasie and Saint Petka. 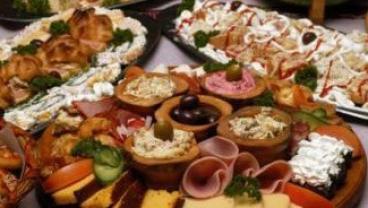 The meals are mixture of traditional and modern cuisine. Nearby the Island (150 meters) there is a Monastery complex St. Naum. This complex is founded by St. Naum in 905 AD who was the disciple of Cyril and Methodius, as well as contemporary and associate of Clement of Ohrid. 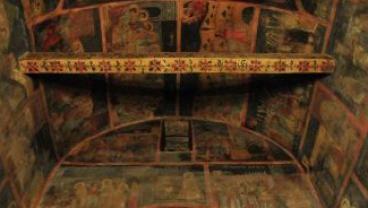 In the monastery there are impressive frescoes and woodcarvings. St. Naum is buried within the monastery. During his life, he was known as miracle healer. Even today, it is a common believe that anyone who touches his tomb will be cured from any disease. Also, if you place your ear over the tombstone of his sarcophagus, you will hear Saint Naum’s heart still beating. Departure by boat at 19.00 hours. Price includes: Boat cruise, One drink on the boat, Dinner on the Island, and program organisation.